Silverstone Auctions achieved its highest ever total sales value at their Silverstone Classic 2014 sale. The two day sale achieved a sales rate of 85%, with total sales of more than £5million, and several cars securing world record prices. 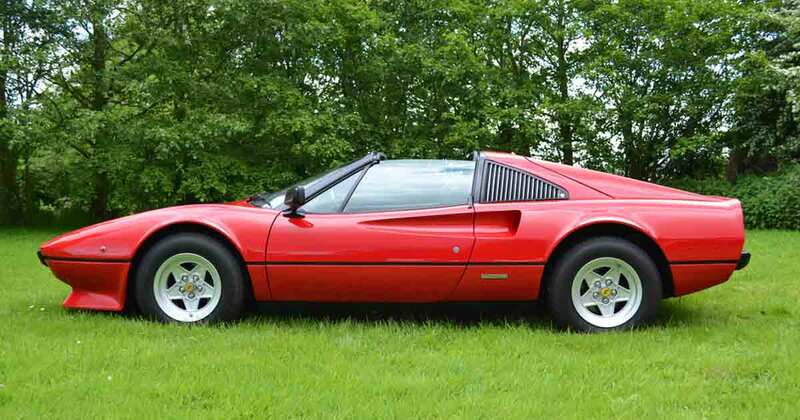 A 1979 Ferrari 308 GTS in fantastic condition successfully sold for £82,225, more than £50,000 over its lower estimate and a world record for the Ferrari 308. Closely followed by a 1989 Ferrari 328 GTS, which went under the hammer for £77,050, another world record broken. Does this mean the prices of these baby Ferrari’s, which have lagged behind their more exclusive Prancing Horse stablemates are on the up? That wasn’t it for modern Ferraris, with a 1996 Ferrari 456 GT selling for nearly double its lower estimate at £49,450. Topping the bill was an incredibly rare 1950 Healey Silverstone sports car, one of just 105 ever built. Fresh from a complete nut and bolt restoration by Hennessy Motorsport after being discovered in a garage where it had been lying dormant since the early eighties. The Healey Silverstone was estimated at between £160,000 and £180,000 but it’s final price was a total of £212,750. A 1996 Jaguar XJ220, aptly presented in Silverstone Green, sold for more than £17,000 over its upper estimate at £187,450 and a rare and very stylish 1953 Bristol 403 Saloon glided past its estimate, selling for £62,100. Sir Jackie Stewart’s first ever race car, a 1962 Marcos GT Xylon, sold for £41,975.